Ya'll know that I just finished The White Thread by K.B. Hoyle. 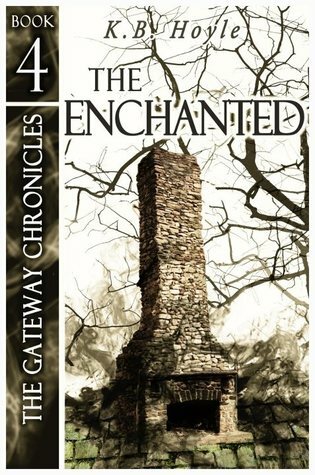 I immediately jumped into The Enchanted which I devoured in a day and then I dove into The Scroll, which I THOUGHT was the final book in the series. It is not. The final book will be book six which is not scheduled for release until 2014!!! K.B. Hoyle you are a cruel woman to torture me so! I loved this series so hard. I am seriously suffering withdrawals and I am morose now. Nothing I'm looking to read next can compare. K.B. has drawn me so far into the world of Darcy and friends that I must know how this story ends and I just feel tortured with pure impatience. K.B. if you read this, please - send me anything you've written to date on book six. I don't care if it's rough and unedited. I'm in pain! Please? In The Enchanted and The Scroll the saga of The Six continues. Darcy's worry over her oracle has her questioning what is best for those around her, especially Tellius who she has grown to love in spite of her earliest aversion to the idea of being the King's intended. Her need to save the world of Alitheia, and her home world, from Tsellech is still her primary goal, yet her tender heart won't allow her to destroy Colin Mackaby - the one person she fears will be her downfall. Seriously folks. 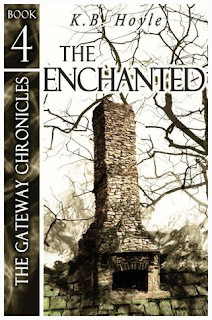 If you haven't read The Gateway Chronicles you are missing out of some of the best books I've ever read. They have everything you could want in a book series and more. So much friendship, loyalty, indecision, heartache, doubt, danger, betrayal, and best of all fierce love. Read them. You won't be sorry. 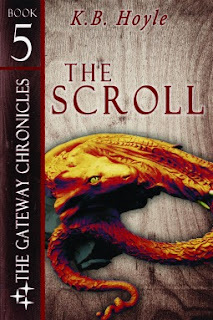 Have you read any of the Gateway Chronicles books? What are your favorite fantasy series? 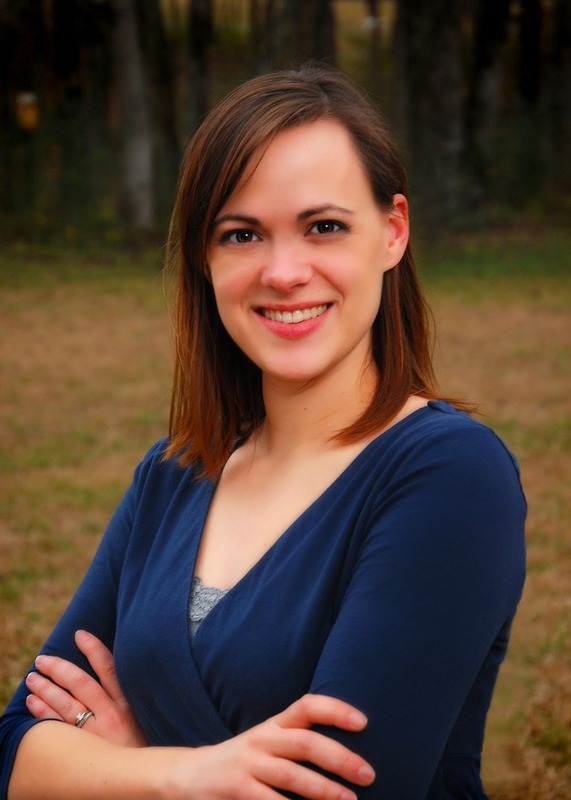 “What do enchantments have to do with me?” Darcy whispered. Darcy Pennington’s course was plotted out for her long before she ever stepped foot in Alitheia, but Colin Mackaby seems determined to hamper and confuse the way as much as he can. Darcy begins to suspect that it is not Colin working against her, but a malevolent force working through him—a force seeking to hasten Darcy’s transformation into one of the very creatures she is supposed to fight. Darcy is finally willing to follow the prophesied path, even agreeing to her much-resisted marriage to Tellius, but soon after she returns to Alitheia, everything spirals out of her control. A painful rejection almost pushes her over the edge, and when she demands answers from Rubidius, he provides her only with more painful secrets she must keep from the others. In the meantime, Darcy and her friends finally set out to confront one of Tselloch’s gateways, fulfilling—so they think—the great prophecy of the Six. But when faced with practicing their magic against Tselloch’s evil power, nothing turns out as expected. lol! I love the pressure, actually. It keeps me accountable!